A police force has been slammed after a ‘monstrous’ drug addict set his former mother-in-law on fire before torching himself following a three-month campaign of abuse. 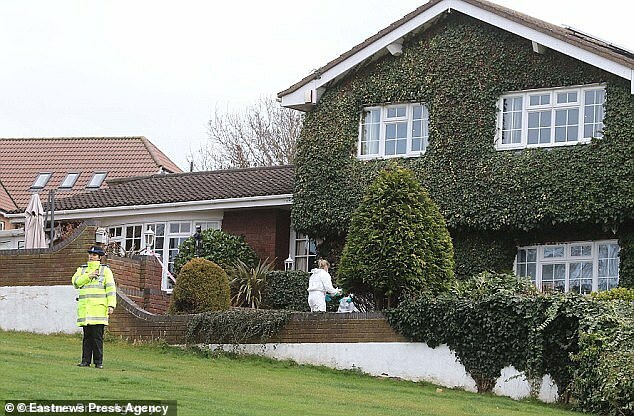 Kieren Lynch, 50, stormed into Jennifer Cronin’s garden with a can full of petrol before setting himself and the 72-year-old on fire in March last year. 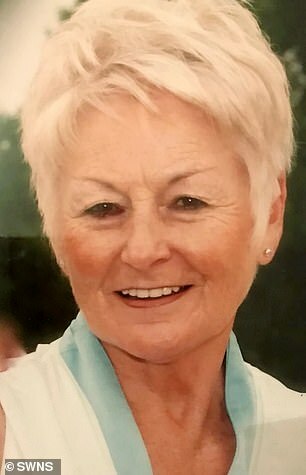 An inquest into Mrs Cronin’s death found Essex Police failed to intervene in Mr Lynch’s increasingly violent behaviour ahead of the fatal incident. 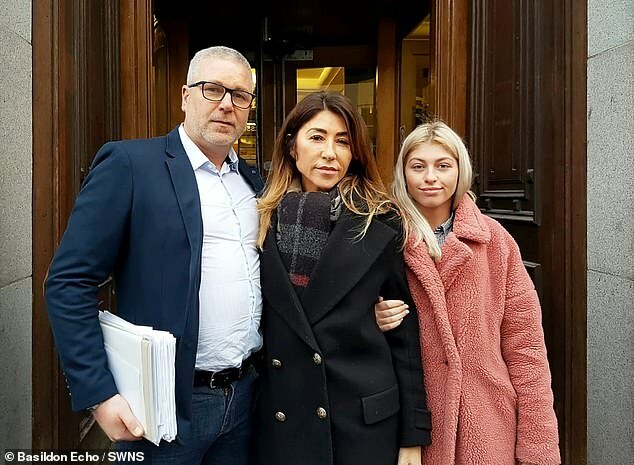 Mrs Cronin’s daughter Susan described how the family were ‘pushed from pillar to post’ and felt they ‘weren’t being listened to’ when they raised concerns about her ex-husband’s behaviour. Speaking on Friday after a five-day inquest, she said: ‘It’s been a horrific year really – to be pushed from pillar to post and we’ve felt all along that we weren’t being listened to and things weren’t being done as they should be and now that result means we can see it in black and white. ‘We were ringing all the time and trying to find out Kieren’s whereabouts. Cocaine abuser Mr Lynch, a father-of-two, launched the horrific attack after his partner of 25 years asked to make their separation formal, jurors were told. He then began a three-month campaign of abuse after learning Mrs Lynch had met someone new, culminating in the fatal assault on Mrs Cronin on March 13. Police were hunting him on the morning of the attack after failing to lock him up, despite him repeatedly breaking his bail conditions by bombarding his family with calls and messages. Ms Cronin suffered burns to 33 per cent of her body and sadly passed away 17 days later. Her former son-in-law died after suffering burns to 96 per cent of his body on the day of the attack. His ex-wife was in her frightened mother’s house when Mr Lynch launched the attack and was forced to watch as the bricklayer brutally attacked her mother. In the report to prevent future deaths, assistant coroner Tina Harrington concluded there had been a failure to pursue and arrest Kieren Lynch after he breached his bail conditions and a failure to record potential offences committed while he was on bail. Mrs Lynch said: ‘I would hope the police have learnt from those mistakes. It doesn’t bring my mum back or their dad but things definitely need to be looked at. ‘They are supposed to protect and serve the public and they certainly didn’t do that for us. There was mistake after mistake that never got picked up. ‘I miss my mum desperately every day. She had a huge amount of friends so she’s missed by a lot of people. Essex Police has issued a formal apology to the family. Steve Worron, Essex Police’s head of Crime and Public Protection, said: ‘I would like to offer my condolences to the families of Jennifer Cronin and Kieren Lynch during this difficult time. ‘I know the incident of March 13, 2018, had a profound and painful impact on everyone involved. ‘No officer goes out on their daily business looking to let victims down but in this case we could have kept Mrs Cronin safer and we apologise for that. ‘We accept the findings today by Her Majesty’s Assistant Coroner, Tina Harrington, following her death at the hands of Mr Lynch and his own death during that same incident. We will take action to address them. ‘We referred the circumstances around this incident to the Independent Office for Police Conduct so they could look at our prior contact with Mr Lynch and domestic abuse incidents reported to us concerning his rapidly escalating behaviour. ‘The IOPC has identified no misconduct in respect of the actions of our officers but eight officers are receiving management action in relation to record keeping and processing of information. ‘In light of this tragic incident we will review our working practices, guidance and training. Susan and Kieren Lynch separated after 25 years of marriage in 2016 due to his heavy cocaine use and violence. Just after Christmas in 2017 she said she had met someone new and wanted to move on. On January 11 he attacked their home with a hammer and threatening to kill Ms Lynch, which led to him being arrested and bailed. He repeatedly contacted his family despite the bail conditions and left messages were he threatened to kill himself. 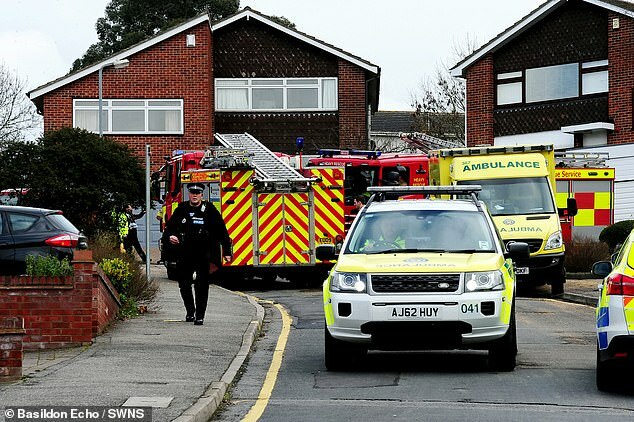 The jury concluded that the grandmother had been unlawfully killed during the incident in Benfleet, Essex in March last year. It also found Kieren, of Canvey Island, Essex committed suicide.